Since 1989, Tritex has been serving the linen, uniform, and floor care needs of Tennessee, Alabama, and Georgia. We take pride in assisting our customers in finding customized solutions to the needs of their facility. Same-level slip-and-fall accidents account for 65% of all fall accidents with injuries ranging from bruises to broken bones to head injuries. Technology has automated more and more of our everyday lives. At Tritex, we keep up with the latest advancements in linen and uniform technology. But there’s one thing we believe that technology will never be able to do better than a person: customer service. While good service is the core of your business, there are a few other things that you need for the success and growth of your brand: for example, your corporate uniforms. While the products and services your business offers are of high value in generating profit, one thing can take a detrimental toll on your business’ finances and reputation: workplace hazards. 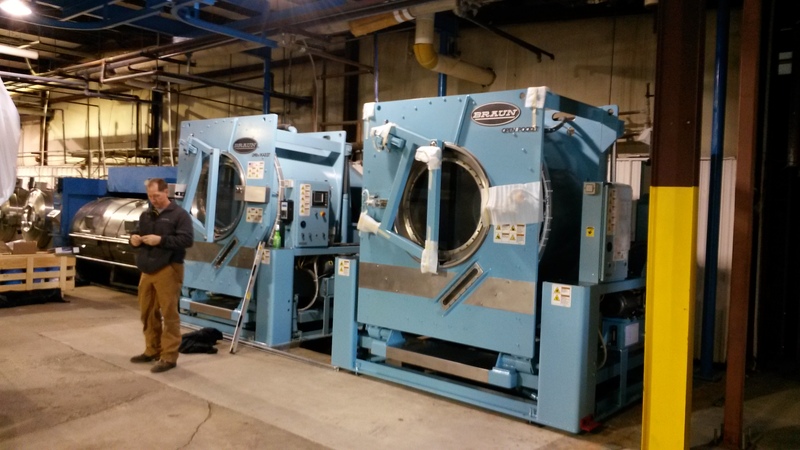 The concept of ‘commercial laundry service’ still appears daunting for many business owners despite being one of the most effective ways to get quality clean linens for businesses. Thinking about getting a linen, towel, mat or uniform rental service? Here’s why you should grab that opportunity without a second thought! Dirty restrooms are dirty business! Grimy floors, smelly cubicles, and grout lines covered in mold and mildew is no way to treat your customers.